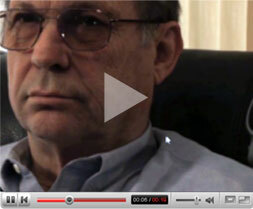 What is the Audio Fox Wireless TV Listening Device? The Audio Fox is a complete solution for those with loss of hearing or those who just prefer a different volume level to those around them. Its your own personal volume control without having to use wireless headphones for tv! Our latest release includes a headphone jack as well for those times when you need room silence. The Audio Fox TV hearing device consists of a pair of wireless stereo speakers attached to vinyl wrapped steel straps that gently grip the back of your chair, bed, or couch. There's nothing to wear. The wireless tv speakers are tilted to deliver crystal clear sound directly to your ears, creating an envelope of sound. The volume control and mute button are mounted on the speaker next to your head. The sound travels from the TV to the speakers using a wireless transmitter which easily plugs into your TV. Everything you need is provided including the wireless transmitter and the necessary cables. The cables and transmitter can be hidden because it uses an FM signal and line of sight between the transmitter and receiver is not required, unlike most wireless headphones for tv, which require line of sight. Find the Audio Out on the back of your TV. You can connect to the Analog, Digital Coax Audio, or the Optical Audio with the included cables. You can also connect to a TV, smartphone, or tablet headphone jack with the optional adapter listed on the Products page. If in doubt don’t hesitate to call us. 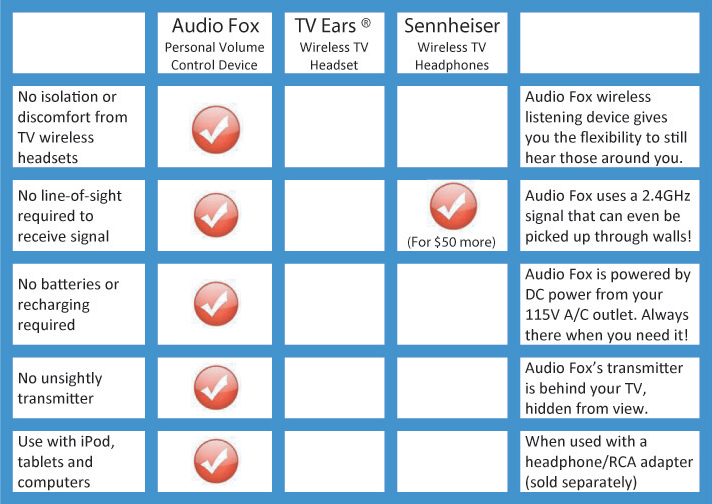 How Does Audio Fox Compare to TV Ears® and Other Similar Products?